Frozen Shoulder Syndrome is a common affliction in people between the ages of 40 and 60, particularly women and those with diabetes. It begins with inflamed connective tissue around a joint; as the tissue thickens and tightens, the joint gradually loses mobility until it becomes “frozen” making everyday activities very painful. While there is little evidence of a specific cause of Frozen Shoulder Syndrome, it is speculated that causation lies in altered neuromechanical function of the trapezius muscle, which is responsible for moving and stabilizing the scapula. It is also thought that a forward head posture (as in Tech Neck) may cause dysfunction in the trapezius, leading to the decreased range of motion that characterizes the beginning stages of Frozen Shoulder. The best way to prevent it is keeping the shoulders flexible with stretches and exercises. 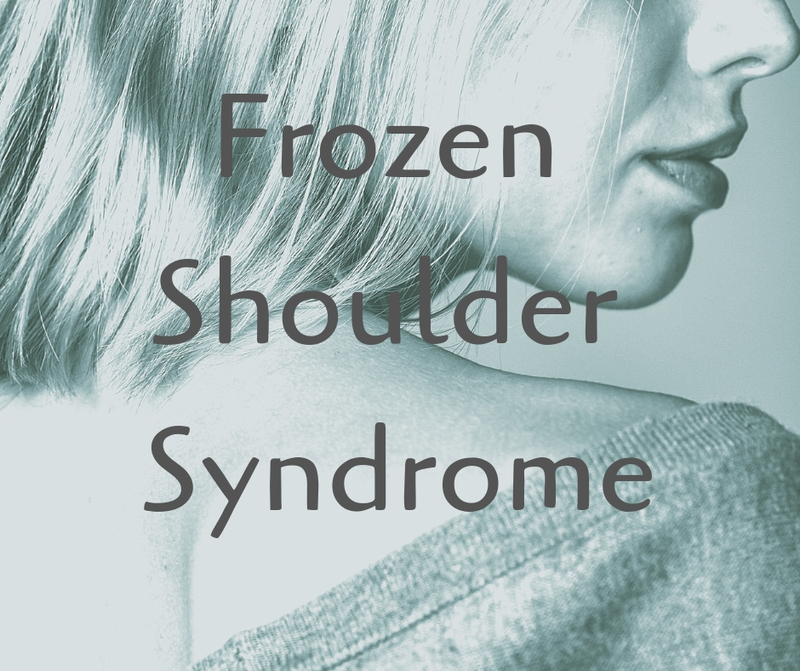 People who are most at-risk of Frozen Shoulder Syndrome are those who can’t or don’t move the joint much. If you work at a computer for long hours per day, be sure to incorporate shoulder and neck movements and stretches throughout the day. If you are already experiencing shoulder stiffness, pain, or loss of range of motion, here are a few exercises you can do daily to improve your shoulder health and range of motion. Always warm up the shoulder before doing any stretching or exercises. For example, take a warm bath or shower, or place a heating pad on the shoulder for 10-15 minutes prior. See this article from Harvard Health for more. If you are experiencing symptoms of Frozen Shoulder, talk to your physician or chiropractor to determine a treatment plan that is right for you and identify lifestyle changes that may help.